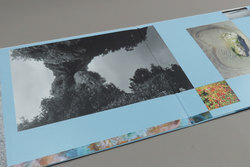 Four Tet - New Energy. Vinyl LP, CD. Bleep. Four Tet expands on the new age meditations of his recent singles with a freshly focused New Energy. Fully formed within the endlessly possible creative confines of Ableton Live, New Energy follows on from 2015's Morning / Evening and features contributions from Tom Baker & Kaitlyn Aurelia Smith. 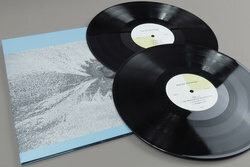 Casually building hype and excitement in his usual way, Four Tet announced the album via a title and tracklisting photo on Twitter a few weeks back, following this with a slew of surprise vinyl-only 12"s, one of album tracks and a cheeky one of edits as KH, New Energy lands at a time when he is very much in the centre of the limelight. Mixing his usual classic trip-hop leanings with a digitized melodic and at times melancholic edge, New Energy neatly pulls together the lighter ends of Beautiful Rewind's house moves and Morning / Evening's lush atmospherics. This is most perfectly pieced together on the twisted wheel UKG of Scientists, an offering of solace to those waiting for a new collab 12" with Burial to form. Before the sparkly-treated guitar notes that are a recurring theme throughout bubble up to the forefront on the Coil Dark River-esq Thousand & Seventeen, imagine a rainbow of paint running all over the Coil classics oil black surface. 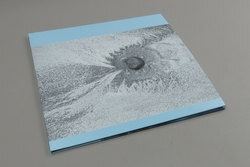 The ambient episodes ring strong also, from the angelic upstart of Tremper to the haunted dialogue of Gentle Soul, a glassy surface capturing the influence of F.U.S.E's Nightdrive cruise is mirrored, showing Hawtin's AI belter a strong new mode of studio extraction. This is topped off nicely with SW9 9SL and LA Trance, each a blend of mnml techno tones. 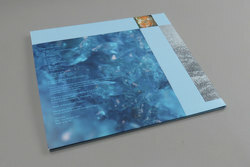 An album ripe for home listening but also just perfect for some DJ tool tucking everywhere from Brixton to Boiler Room.